The most significant cosmetic issues are often resolved by Upland dental veneers. A dental veneer is a thin porcelain shell which is placed on the front of your teeth or visible parts of teeth, so that any cosmetic issue may be masked. 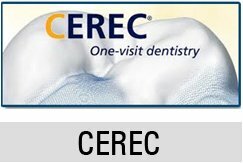 There are also ceramic veneers and resin based composite veneers, apart from the porcelain that is the most popular. Your decision on which material to choose will depend on your priorities, preference and budget. Compared to dental crowns where tooth reduction is designated to cover all surfaces of the tooth, Upland dental veneers touch only the facial surface of the damaged tooth. A minimal amount of tooth surface is removed but so much of the health of the tooth is preserved. This treatment begins with the tooth preparation and then a dental impression is taken so that a cast or mould can be created from it. This cast or mould is then sent to the laboratory so that the veneers can be fabricated. Once completed, the Upland dental veneers are delivered to the patient and then cemented permanently with an appropriate cement or adhesive. Properly designed and fabricated dental veneers will result in a complete smile makeover that is truly significant and impressive. With good oral hygiene and proper care, our Upland dental veneers will improve the appearance of your smile and increase your confidence for many years to come. It can be prescribed to mask any cosmetic dental issue such a tooth discoloration or stains. It may be indicated to repair and fractures, chips and cracks on the tooth however minimal or severe. It can be prescribed in lieu of an orthodontic treatment to straighten and align teeth, and make the smile more attractive. It can close spaces, gaps or diastema between teeth. We use Empress and Lumineers by Cerinate products. Consult with your Upland CA dentist, Dr. Zaveri to discuss your complete smile makeover with our durable Upland dental veneers. Call Alta Dental Care at 909-985-6116 today.